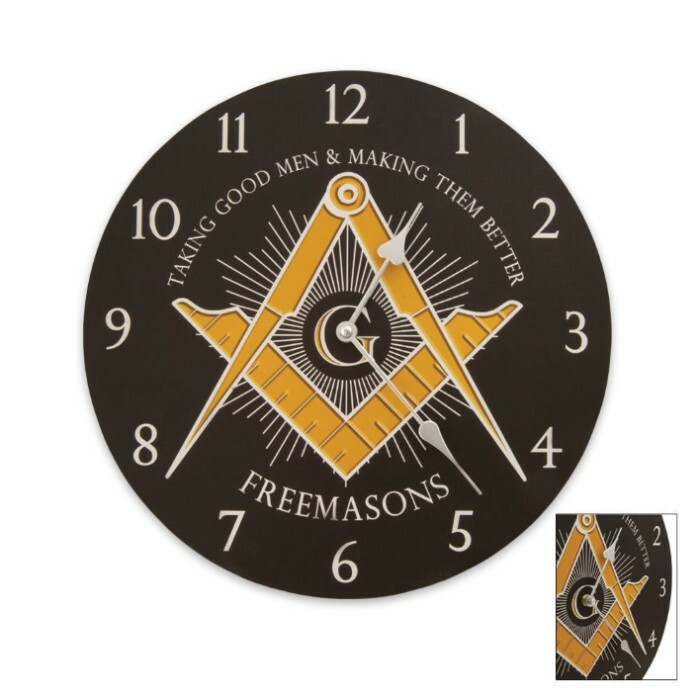 This wall clock is accented with a Masonic symbol. Measuring 13 in. in diameter and featuring wood construction and quartz movement, this clock is great for any Mason. Requires 1 AA battery (not included). Bought (2) originally. Had to send one back as it was defective. Photo is deceiving. Basically it's just a sticker on a piece of particle board. I suppose for the price its OK, but I was a little disappointed (and then more disappointed when I discovered one was defective).